Synopsis: Elizabeth Valchar—pretty, popular, and perfect—wakes up the morning after her eighteenth birthday party on her family’s yacht, where she’d been celebrating with her six closest friends. A persistent thumping noise has roused her. When she goes to investigate, what she finds will change everything she thought she knew about her life, her friends, and what lies in between. As Liz begins to unravel the circumstances surrounding her birthday night, she will find that no one around her, least of all Liz herself, was perfect—or innocent. Critically acclaimed author Jessica Warman brings readers along on a roller-coaster ride of a mystery, one that is also a heartbreaking character study, a touching romance, and ultimately a hopeful tale of redemption, love, and letting go. 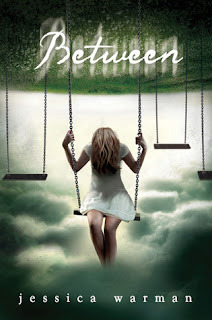 Review: 3 Stars - Between By Jessica Warman is a thought provoking, interesting and mysterious tale of two people’s journey after events forever change their lives and who they are. As a fan of Warman’s novel – Where the Truth Lies – I was jumping at the chance to read and review Between. I’m a big fan of Warman’s writing and her descriptive characters. After reading Between, it took me awhile to figure out just what I thought of this story and these characters. While for me, it wasn’t a 5 star book, it was a notable read. You get a clear visual of the characters from beginning to end and a front row seat as you watch the mystery unfold before them. At times it was painful to be a, fly on the wall, per say as things came to light for Elizabeth and the truth of what really happened to Alex. I must give Warman credit where credit is due when it comes to writing emotions. The book is chock filled with them. The characters and the reader get hit time and time again with the stages of Grief and Guilt to make a couple. While I loved the writing and the emotion, there were parts of the story were I felt such a lull while reading. I think this is one of the reasons why it’s take me this long to finally write the review. Another think I need to commend Warman on is writing two such vastly different characters when it comes to Liz and Alex. Liz, the mean popular girl that made me cringe over and over again. Seriously, this character… I never hated one more than this girl. And then there’s Alex… You feel horrible for him over and over again. I almost felt like he never got a break, but his part of the story gives such light and perspective to Liz as she tries to find her way in what was her life and now in death. All in all, I am still a fan after Between. Warman’s writing and storytelling was there by the page full’s, it just was a bit on the slow side for me. With a mystery that’ll keep you guessing and as a fan of her work, it was easy to finish the book and even easier for me to recommend. Thanks for your honest review. I'll keep a close watch to see what others think. I have to have a strong desire to read a book right now based off of my to-read list! Oh I keep forgetting I have this one on my shelf I love the cover but I keep seeing only so-so reviews on it. I'M really curious about it though I'll def be reading it soon to see what it's all about.